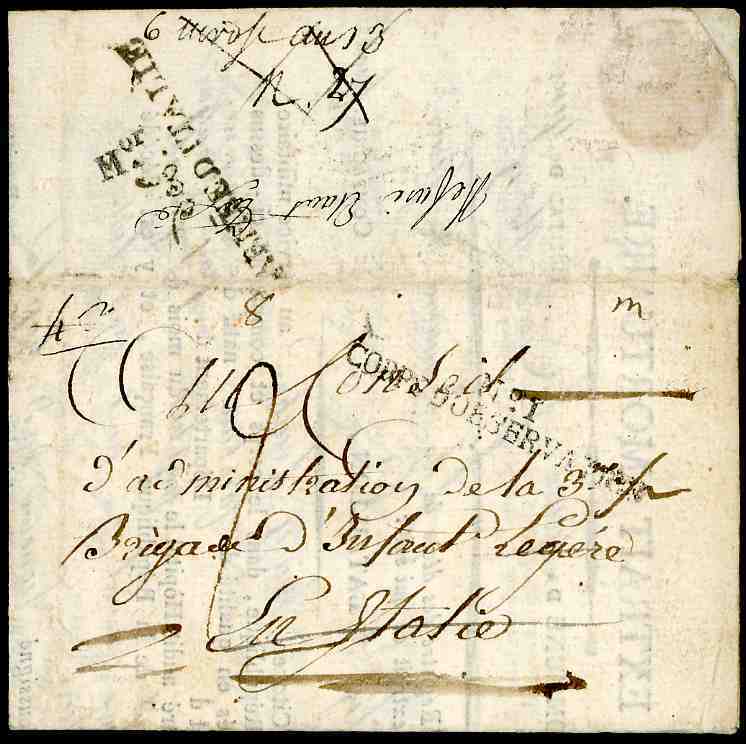 SARDINIA, french fieldpost "N0 1 / CORPS D´OBSERVATIONS" handstamp on "Extrait mortuaire" folded letter from Genova (Génes 18 Pairial de l´an 8 = juin 1800) to "l´administration de la 3 éme Brigade d´Infant. Légére en Italie" with "DEB. / ARMÉE D´ITALIE" déboursé and small "Mor" handstamp. 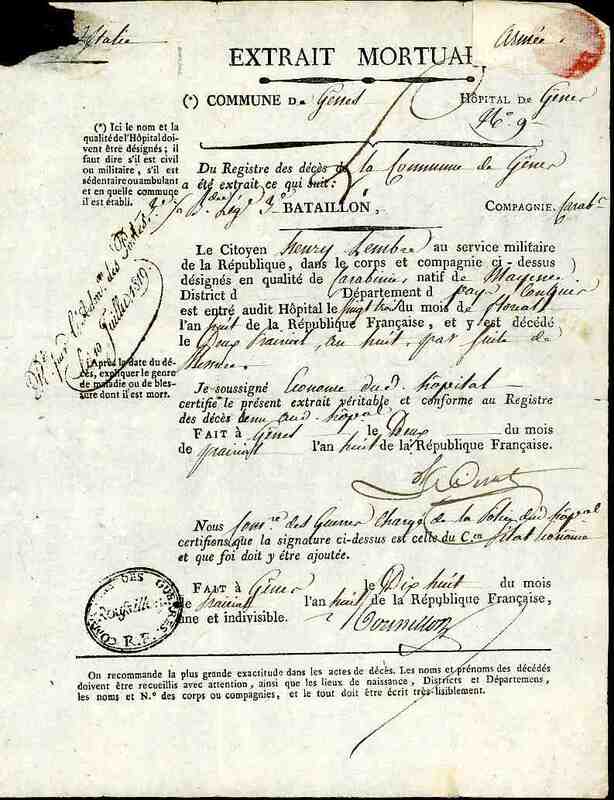 The payment of 2 decimes postage due was not accepted "refusé étant taxé", the cover stayed in the dead letter office untill 1819 ! 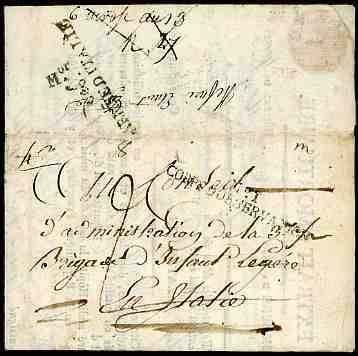 "Ré PAR L´ADM.on DES POSTES LE 10 JUILLET 1819" handstamp inside. A very fine and UNIQUE COVER, that rested in the postal archives for 19 years ! ALL THE FIELDPOST MARKINGS ON THIS COVER SEEM TO BE UNRECORDED IN REINHARDT ! FRANCE, POSTE MILITAIRE (DEUX MARQUE POSTALE INCONNU DU REINHARDT), TOMBÉ EN REBUT ET RESTÉ DANS LES ARCHIVES POSTALE PENDANT 19 ANNÉES. UNIQUE ET TB.